Pseudorabies: Must do, 4 times for 4 months. It is best to use gene-deleted vaccines. Sticking to self-cultivation and self-cultivation for more than 2 years, you can basically purify pig farms. Mycoplasma vaccine: must do, mycoplasma pneumonia is the biggest disease that harms the pig farm, the feed consumption rate is too high, the effect of choosing domestic live vaccines is more obvious, and the self-breeding farms do according to the instructions. Circovirus: must be done, porcine circovirus disease is recognized worldwide as an important disease that threatens the swine industry, and it is also one of the three major diseases that have long plagued China's swine industry. Foot-and-Mouth Disease: It must be done. The time is in October and April. It should be done twice in 15 or 30 days. The government free vaccine writer thinks the effect is good. JE seedlings: The breeding calendar must be done every April in the Gregorian calendar and can be used in September. 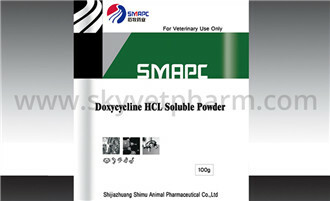 Medicines we can provide for pigs include Doxycycline Hydrochloride For Pig Coli Disease,Dimetridazole Premix for Pigs and so on.